Gotta love when people stick to their promises! 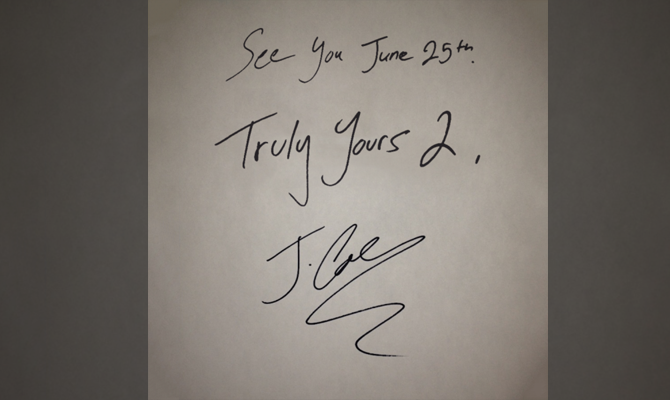 You can download Truly Yours 2 via the link below and trust me, you should. Overall the EP has a similarly personal feel to it, though a bit more light hearted as seen with songs like Head Bussa. Cole also enlists 2Chainz to assist with braggadocio laced Chris Tucker, which in my immediate opinion ends up being meh. Lyrically the whole thing is quite decent and 3 Wishes really stands out in this area, featuring an ever so slightly funky yet chilled beat by Jake One (who has kind of been reviewed here before, kind of). Kinda sad he never used the cover I made though, sigh. And you can check my review of Truly Yours 1 here.